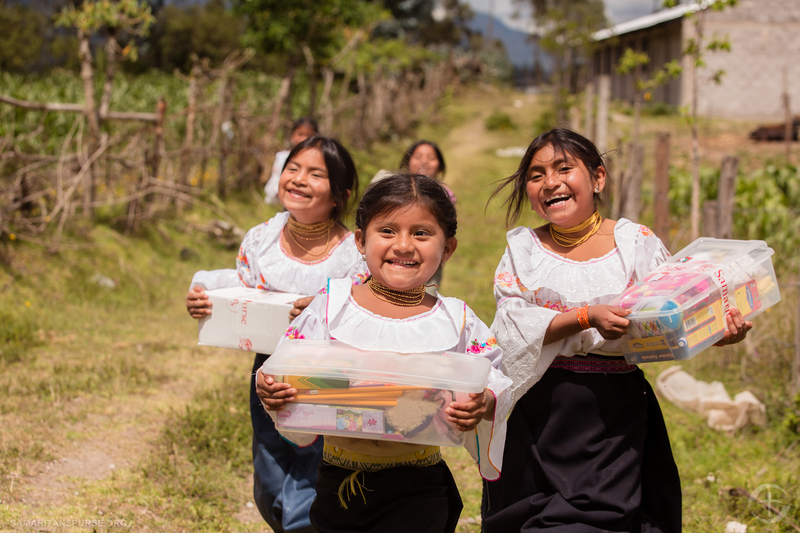 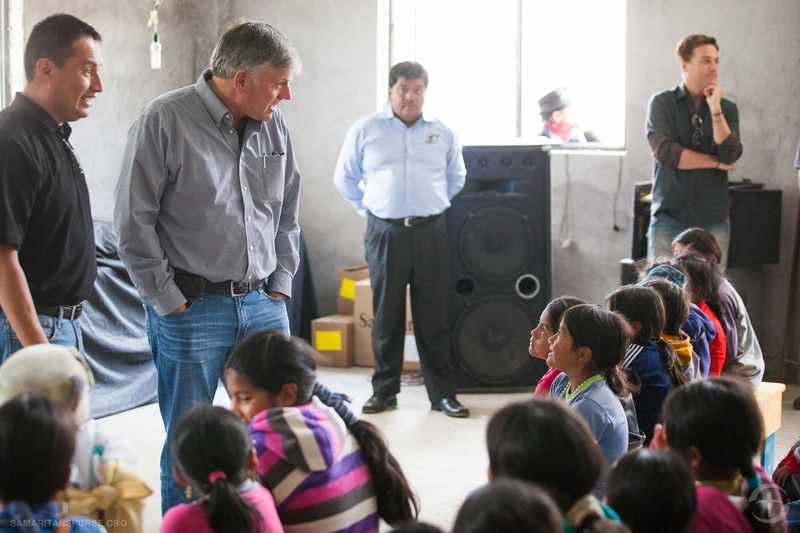 On the second day of the Operation Christmas Child trip to Ecuador, recording artist Michael W. Smith and Samaritan’s Purse President Franklin Graham delivered gifts to boys and girls in Fundacion Amor a La Vida and Libertad de Azama. 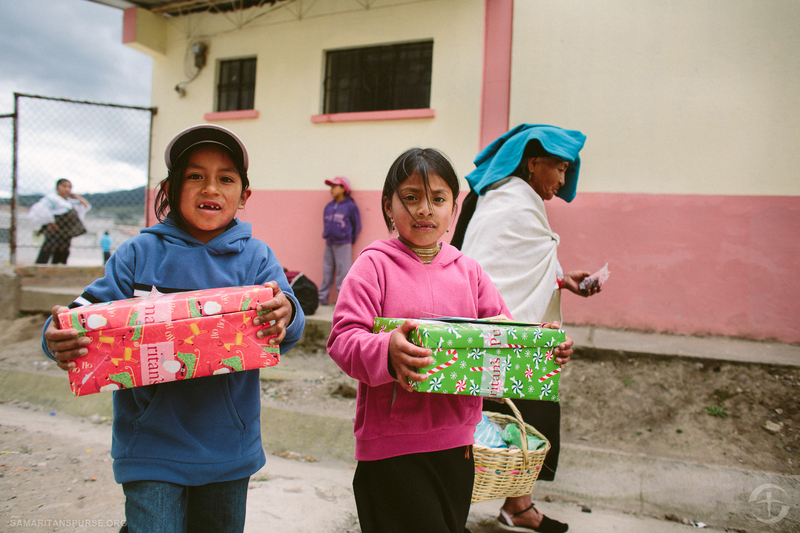 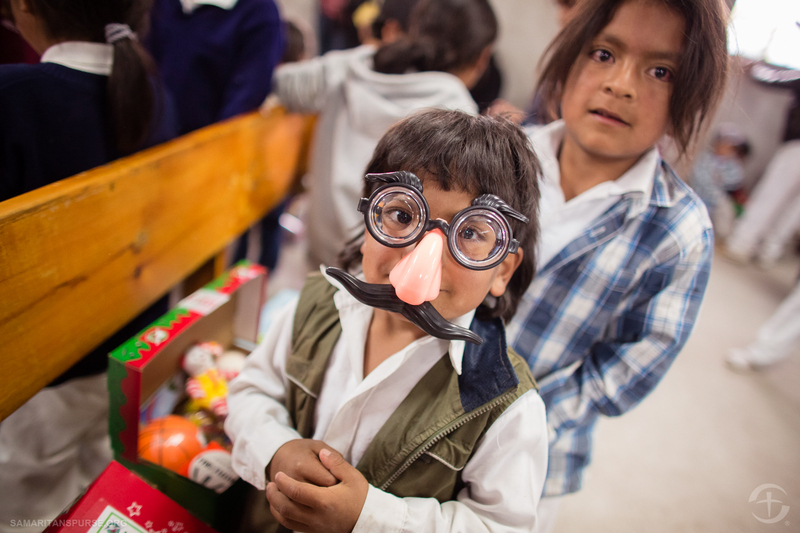 On the second day of shoe box distributions in Ecuador, Operation Christmas Child visited Fundacion Amor a La Vida and Libertad de Azama. 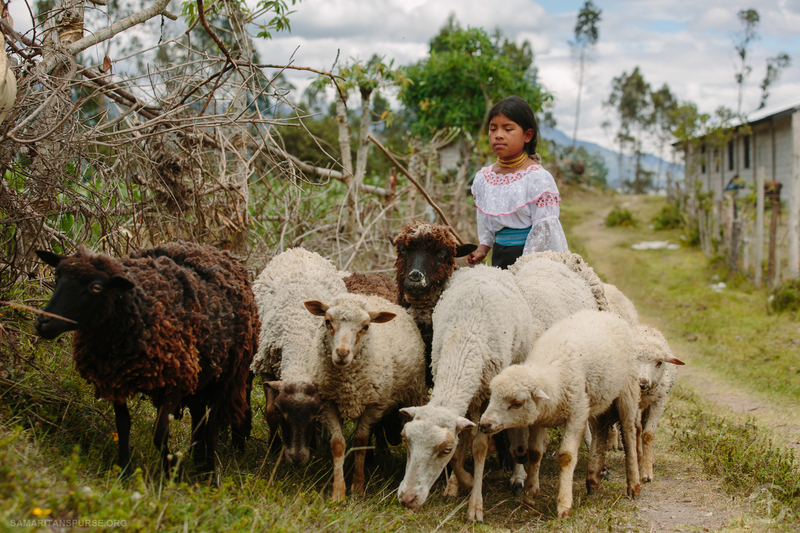 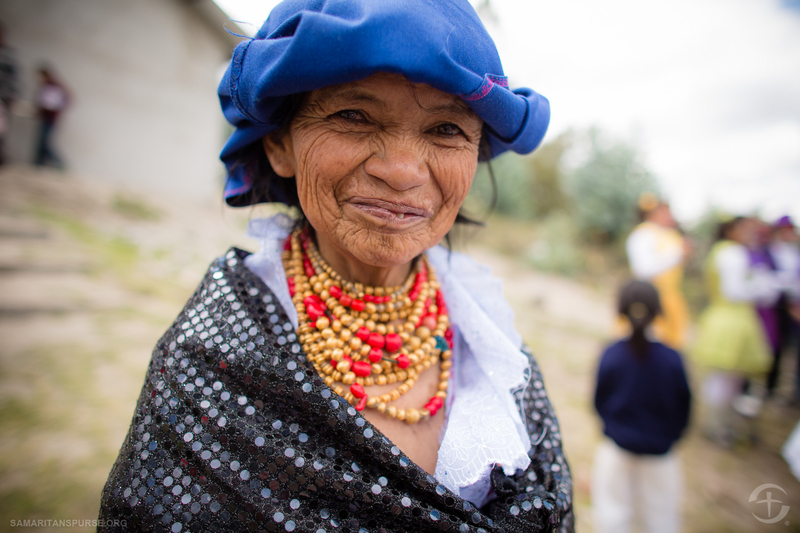 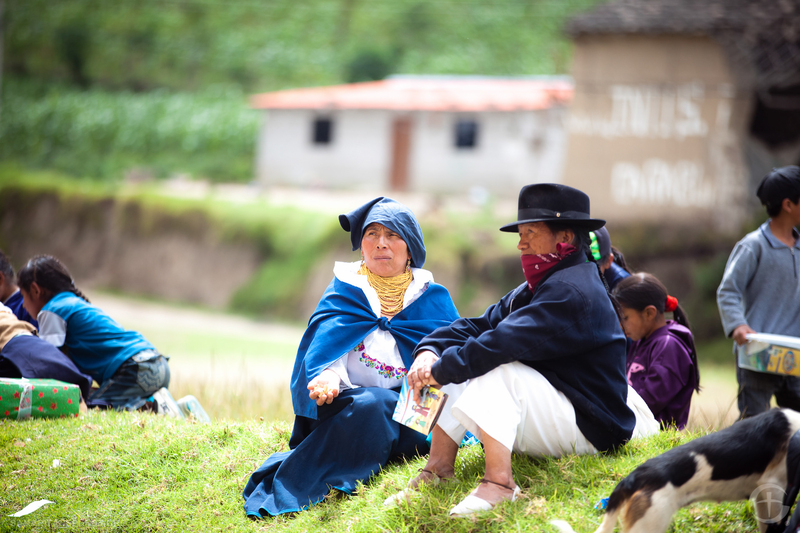 These rural areas were filled with children who needed to hear the hope and love of Christ. 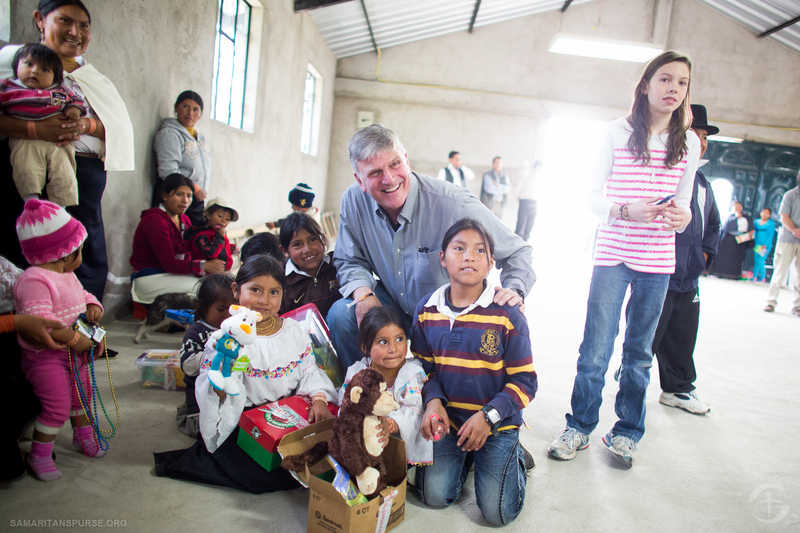 Franklin Graham speaks with local children before handing out shoe box gifts. 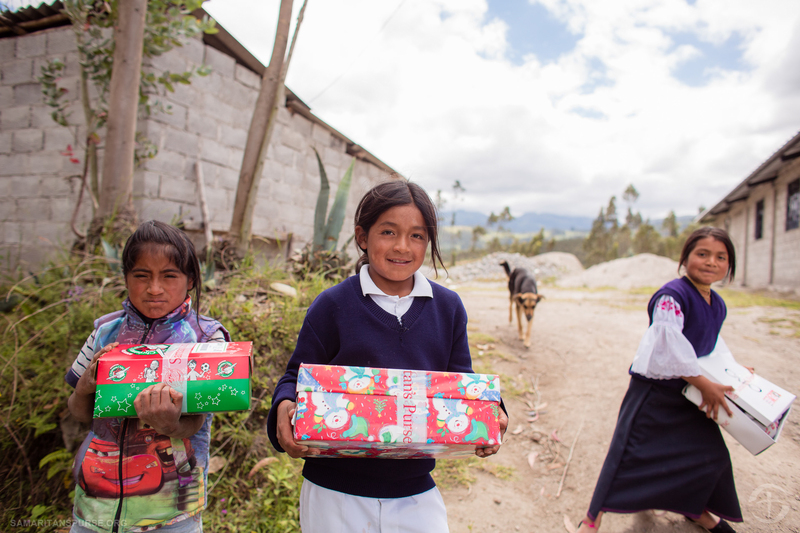 More than 9 million shoe boxes were collected worldwide this year, including the 100 millionth gift since Samaritan’s Purse took over the project in 1993. 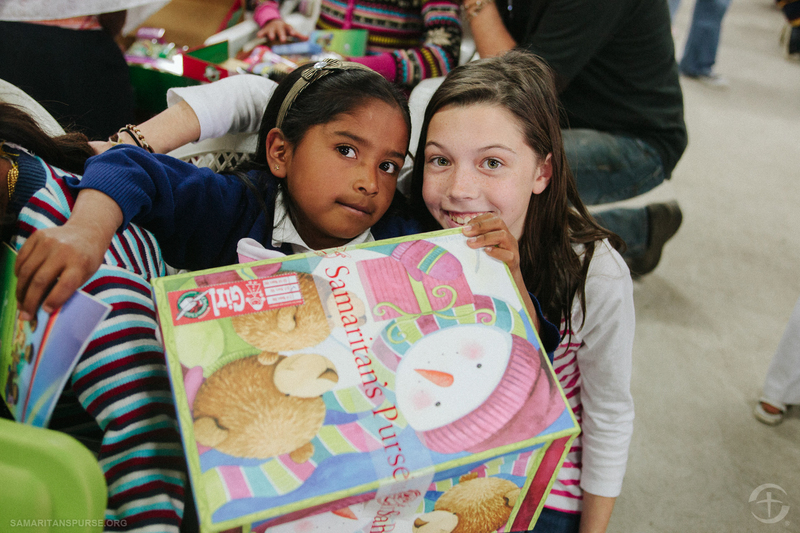 Children discover what’s inside their boxes. 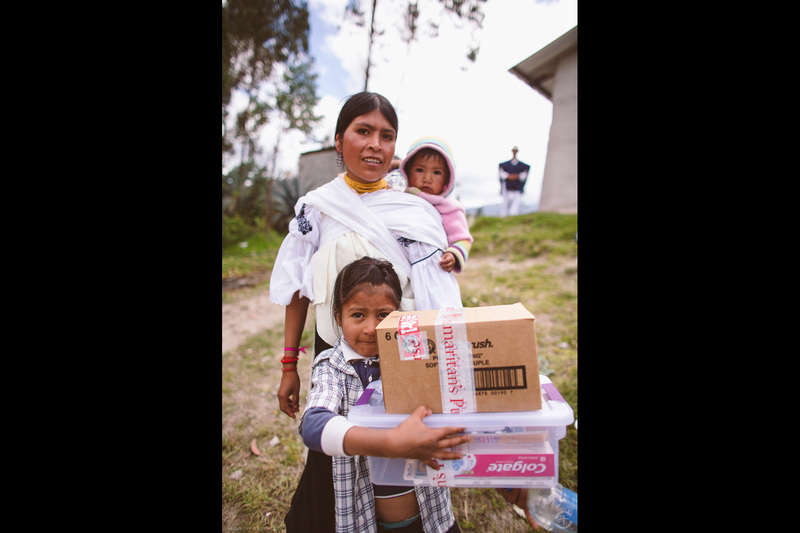 Gifts like coloring books, hygiene items, and small toys make a huge impact on children who may have never received a gift before. 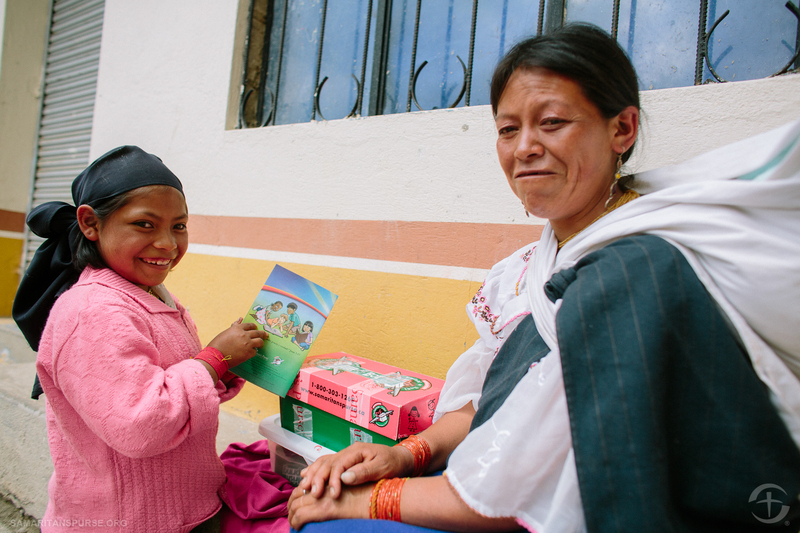 A little girl looks at the reading material offered with her shoe box gift. 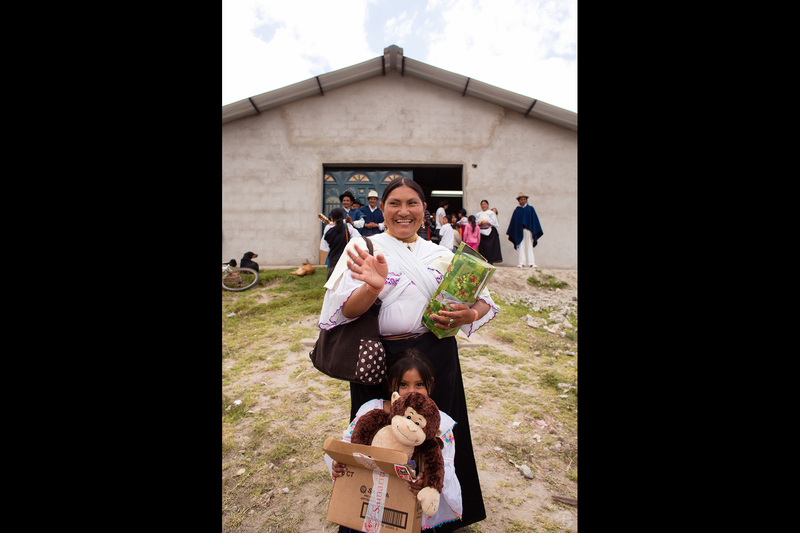 Each child received a booklet explaining that Jesus is the greatest gift of all. 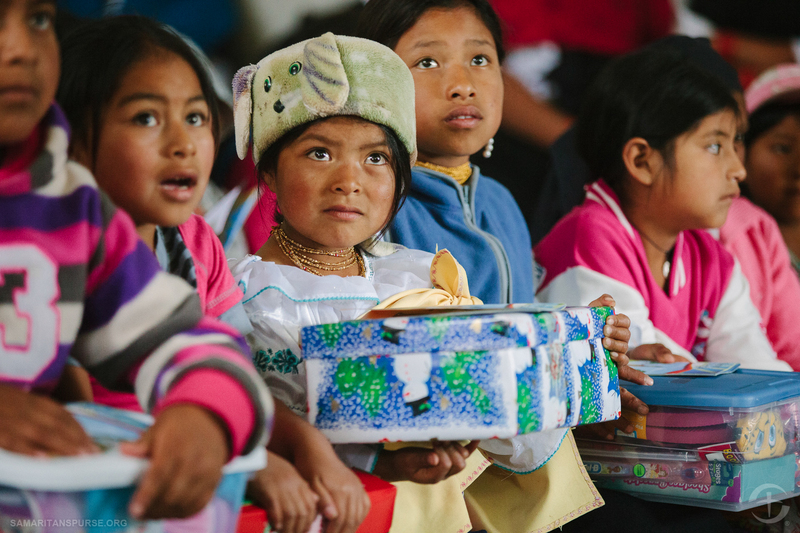 Afterward, many children have the opportunity to join a 12-week discipleship program called The Greatest Journey, where they learn more about faith in Jesus Christ and developing a deeper relationship with Him. 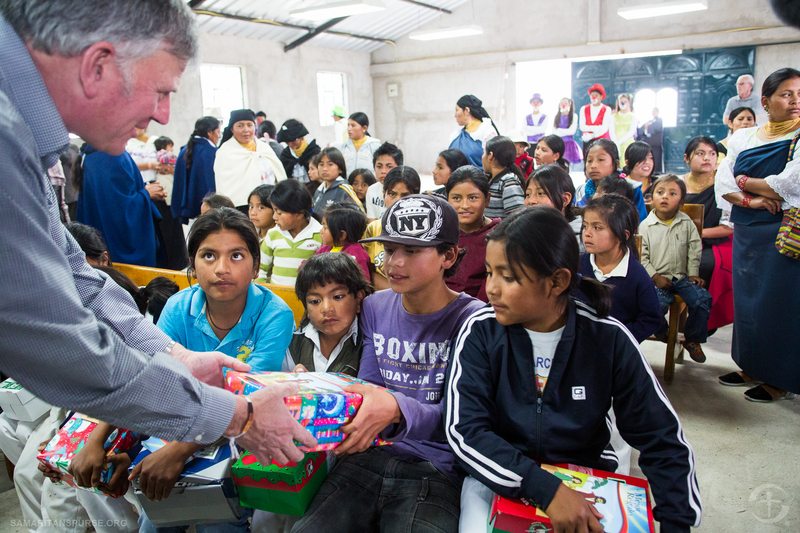 Franklin Graham hands out shoe boxes to waiting children in an Ecuadoran village. 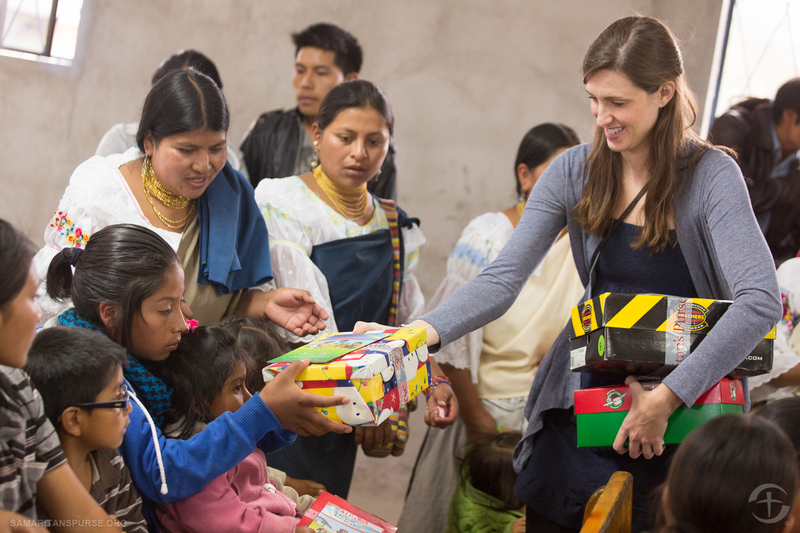 Patti Smith, Michael W. Smith’s daughter-in-law, hands out gifts to a group of children. 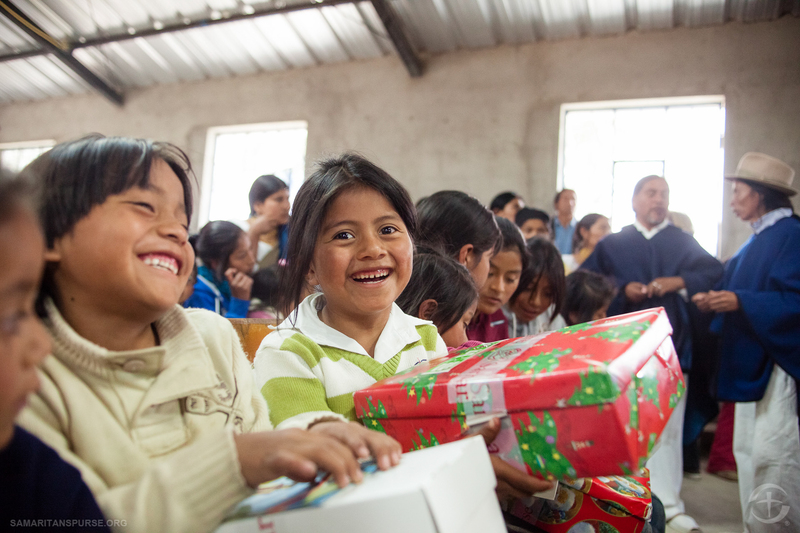 Children eagerly await the moment they are told to open their shoe box gifts. 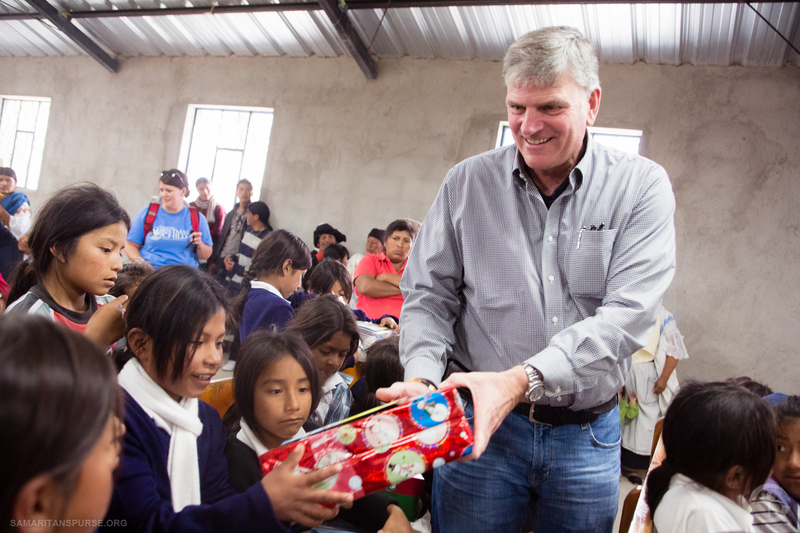 Franklin Graham’s granddaughter, CJ, shares a happy moment with a little girl as she opens her shoe box gift. 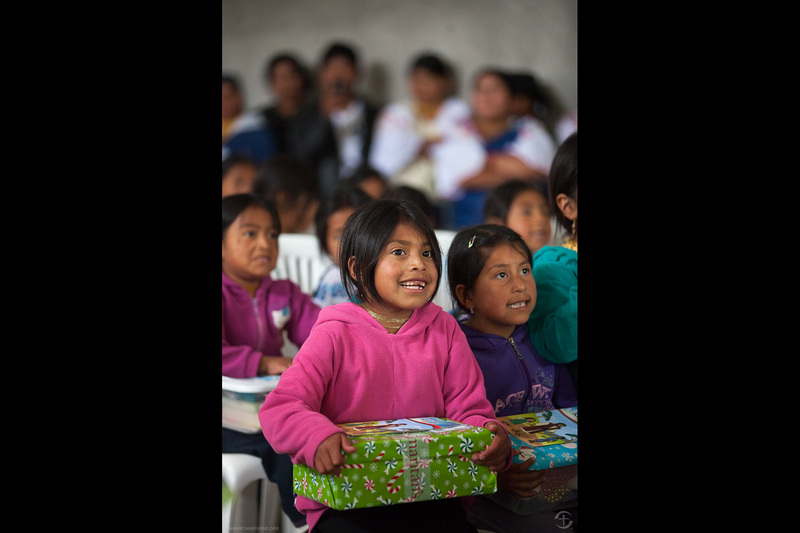 Michael W. Smith’s family joined Franklin Graham to distribute Operation Christmas Child shoe boxes in Ecuador over the Christmas season. 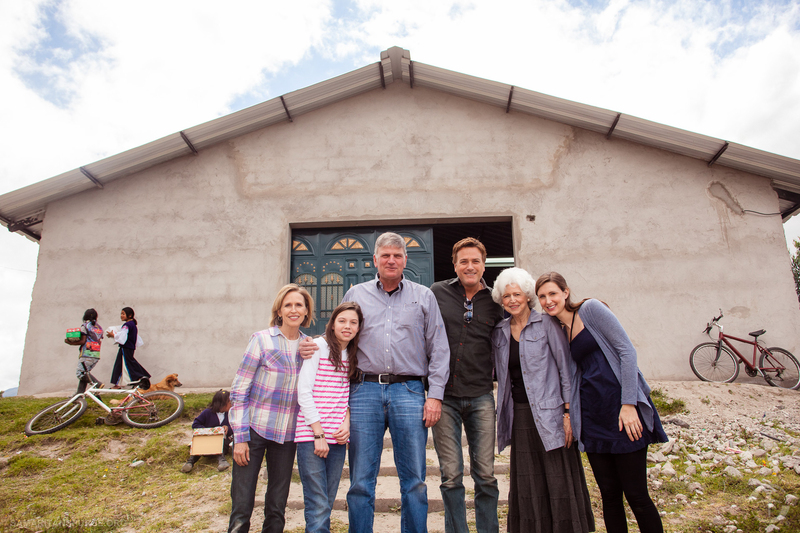 From left to right: Debbie Smith, CJ Graham, Franklin Graham, Michael W. Smith, Ann Severance, and Patti Smith. 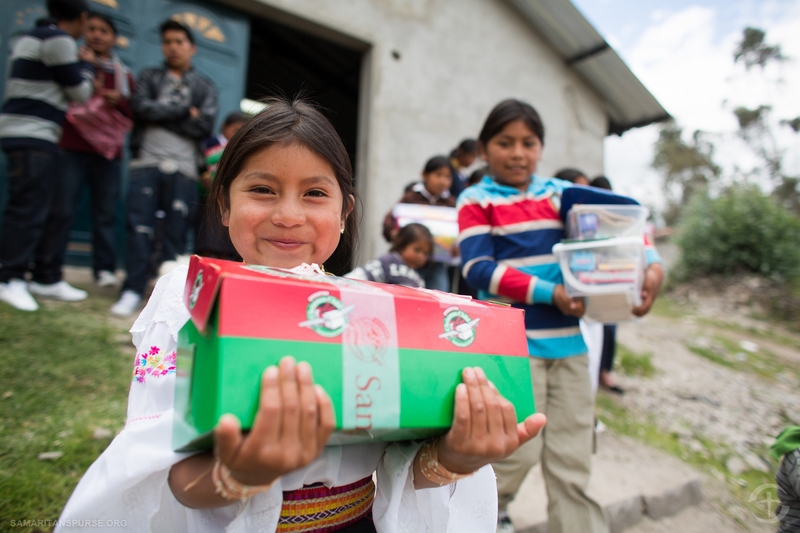 Even adults are all smiles after Operation Christmas Child shoe box distributions. 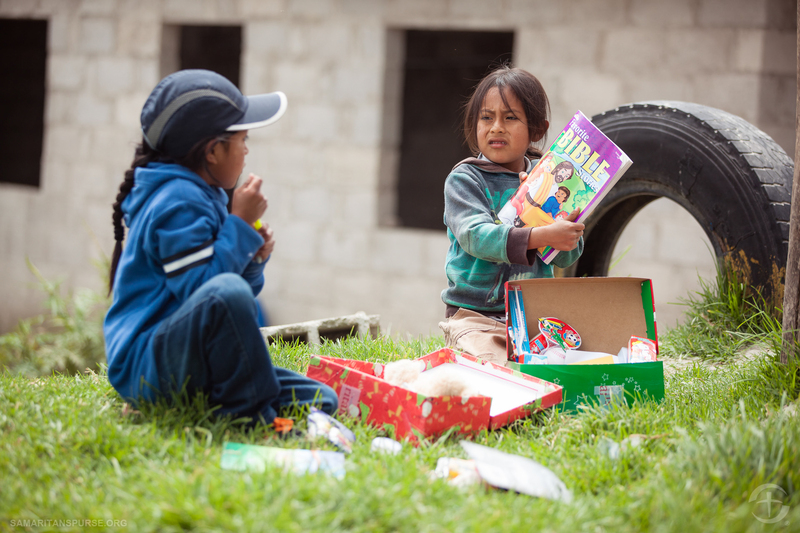 Often times parents accept Jesus as their savior through reading the material their children receive with their shoe boxes too.